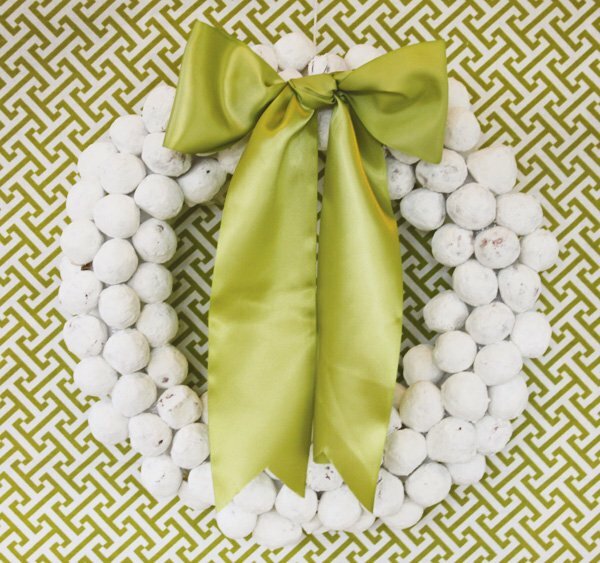 – Yummy powdered sugar doughnut hole wreath with a big green bow! The lyric, “All is Calm, All is Bright”, from the popular Christmas carol, Silent Night, inspired me to create a serene, natural looking table, with just a touch of sparkle. 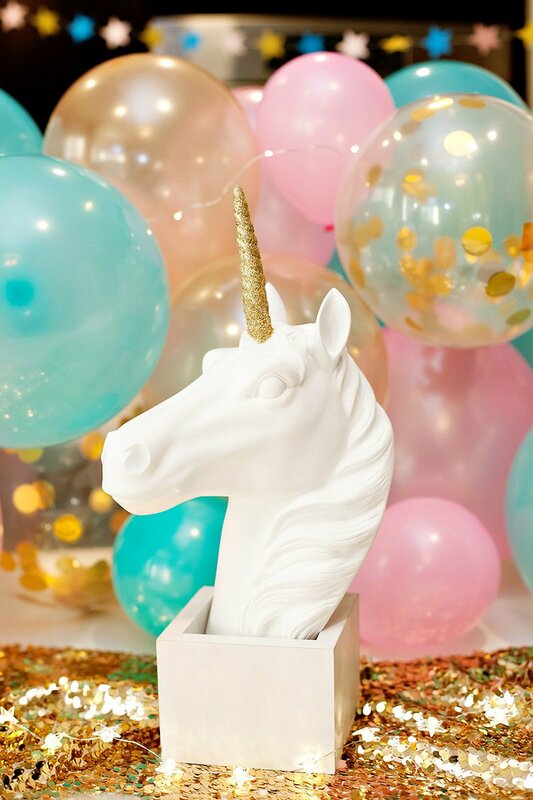 Since the holidays can be a time of stress and hurriedness, I created this party to be the antidote. 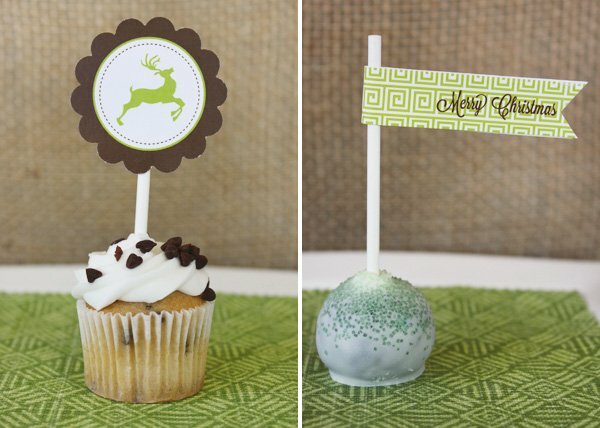 The green, tan, and cream color palette and natural touches capture the peaceful party table style I sought to create. Additionally, this table is completely DIY. 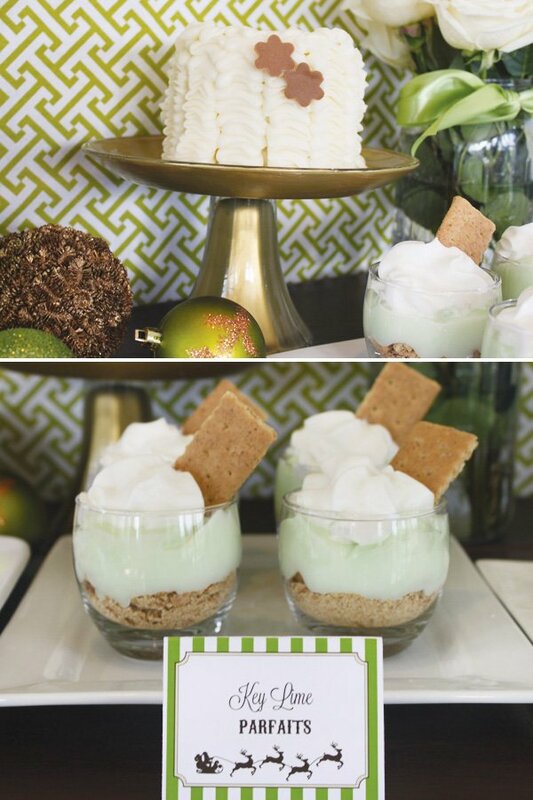 The desserts and décor can be easily recreated by the home entertainer. 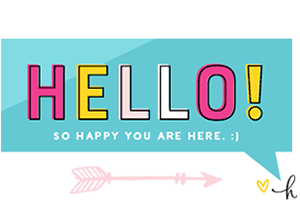 And, to make it easier to recreate the look I am making the cupcake toppers, drink flags, banner, blank placecards, and chocolate bar wrappers FREE for readers. 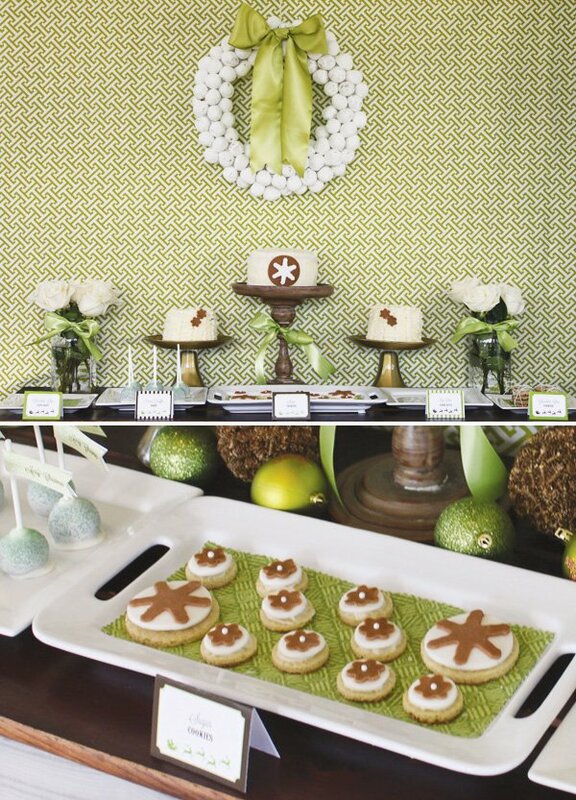 The dessert table began with the green and cream, Greek key pattern fabric backdrop. I love the contrast between the graphic backdrop and the rustic, dark wood table. The backdrop was completed with the white wreath adorned with a wide satin ribbon bow. The wreath adds a calm (and edible!) touch. The wreath is made out of powdered sugar doughnut holes. 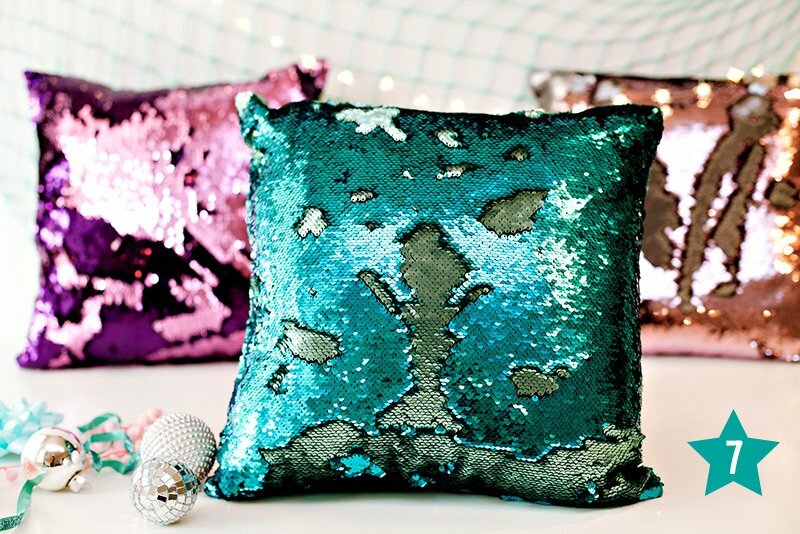 It’s an unexpected and yummy backdrop! 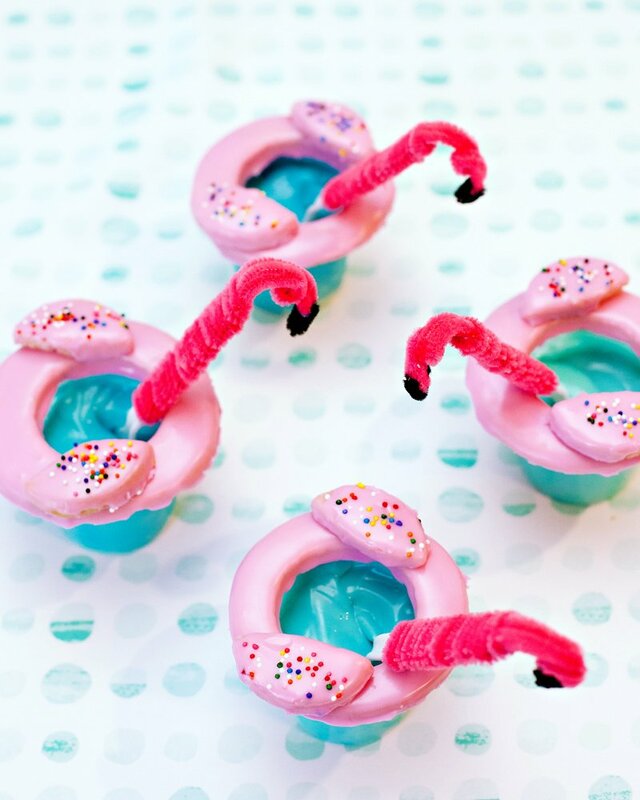 And, it was made by simply inserting toothpicks into the doughnuts and wreath form, so guests can easily grab a doughnut to nosh on! 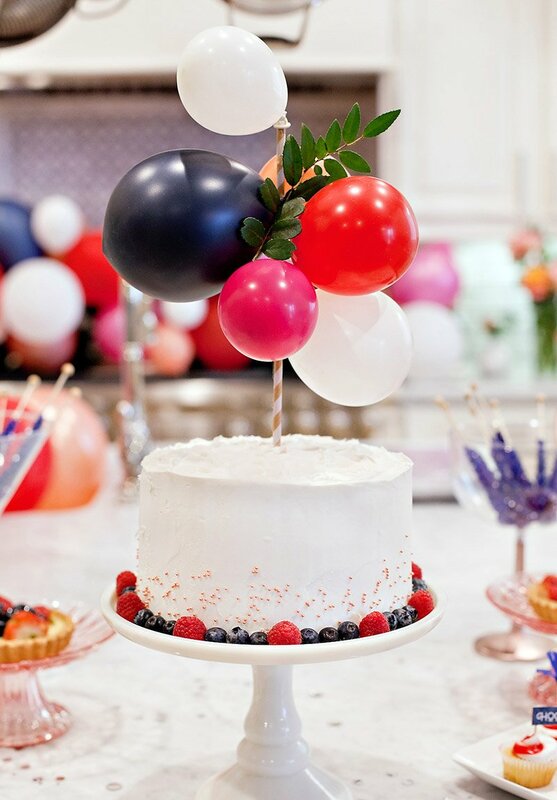 Other desserts on the table included Oreo Truffle Pops, two mini Vanilla Ruffle Cakes, a fondant decorated Vanilla Cake, Chocolate Chip Cupcakes, fondant topped Sugar Cookies, Key Lime Parfaits, and Mini Chocolate Chip Cookies tied with baker’s twine. 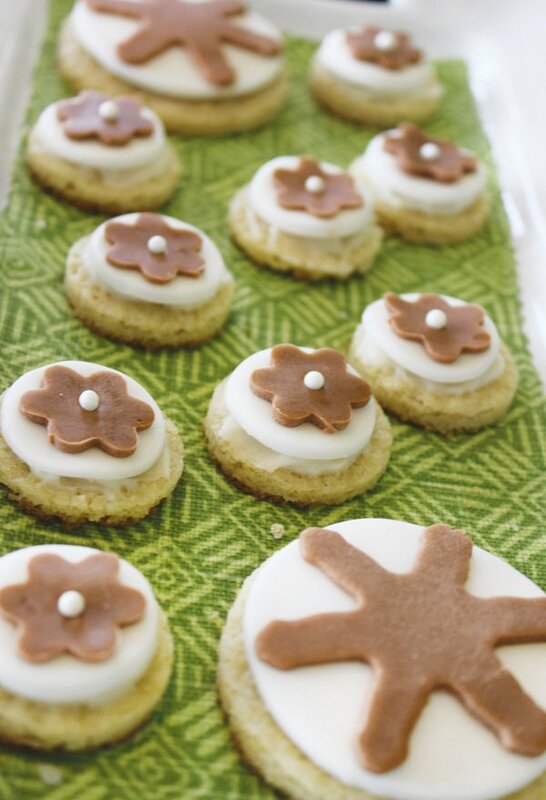 The fondant accents were made using cookie cutters – an easy DIY way to create fondant decorations. Simple touches, such as white roses placed in mason jars and sparkly Christmas ornaments, also adorned the table. 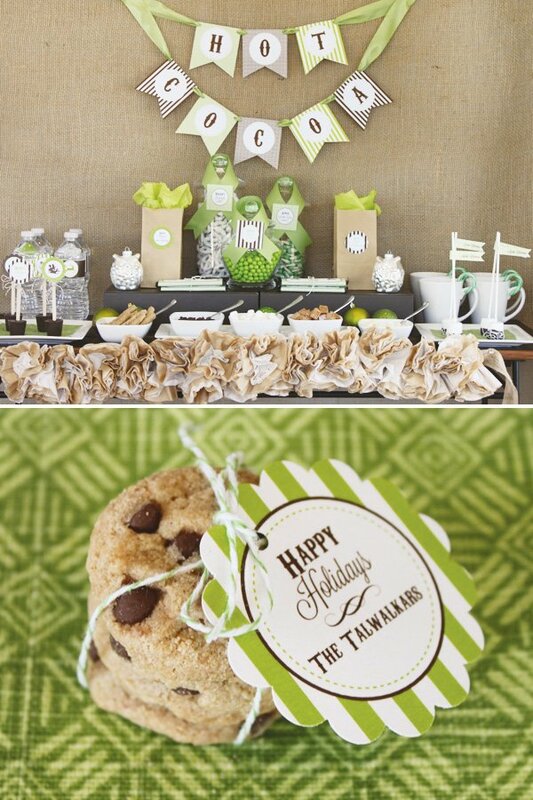 The printable paper goods also coordinated with the table. 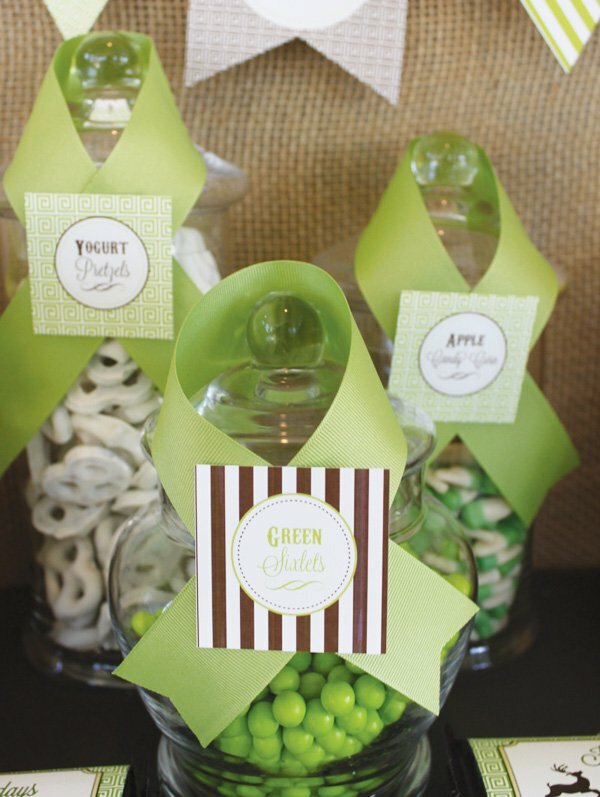 The paper goods design includes green, white, and brown stripes and a Greek key pattern similar to the one on the backdrop. During the holiday season, there’s no drink that my family enjoys more than hot chocolate. Delicious mugs of steaming hot chocolate milk topped with melt-y marshmallows. We so enjoy relaxing together over a cup of hot cocoa. So, I knew a hot cocoa bar was a must for a relaxing, calm Christmas party. The simple burlap backdrop for the Hot Cocoa Bar adds a natural touch and texture to the table. The “Hot Cocoa” banner will beckon guests to the table. The front was decorated with a garland made from brown and white coffee filters and white doilies. 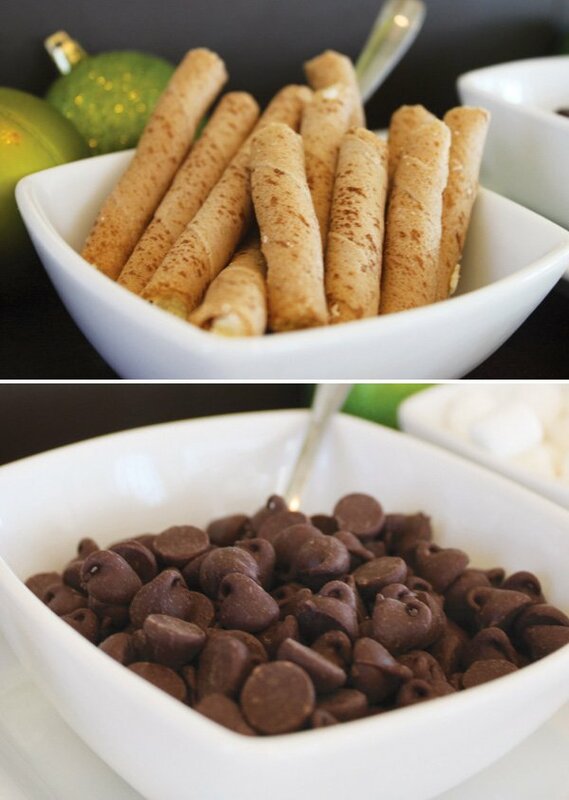 Hot cocoa is elevated with lots of fantastic toppings, such as white chocolate chips, semisweet chocolate chips, marshmallows, caramels, and pirouette cookies. 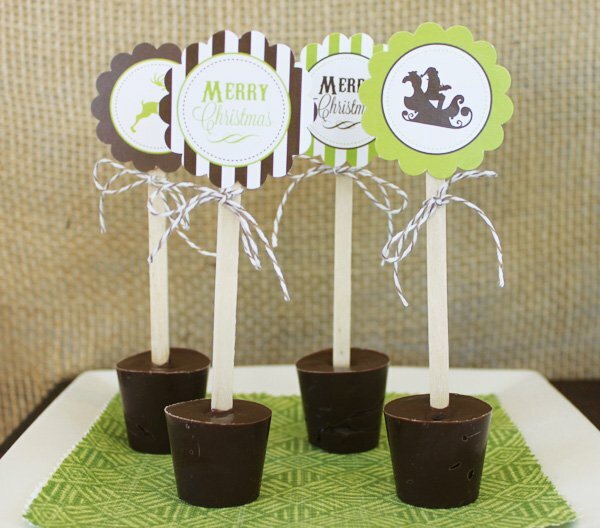 Additionally, I made adorable chocolate stirrers and chocolate dipped marshmallows. 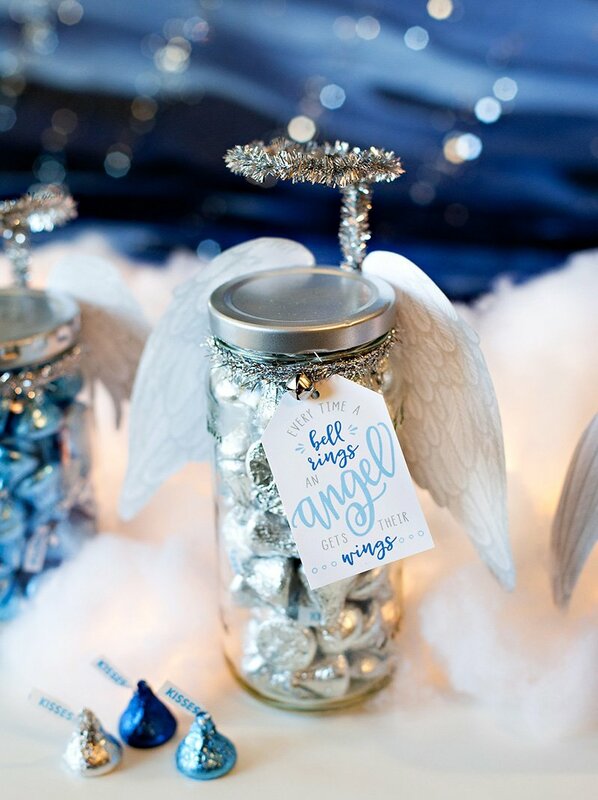 The hot cocoa table also includes candy jars, coordinating water bottes, and fun little owl Christmas ornaments. 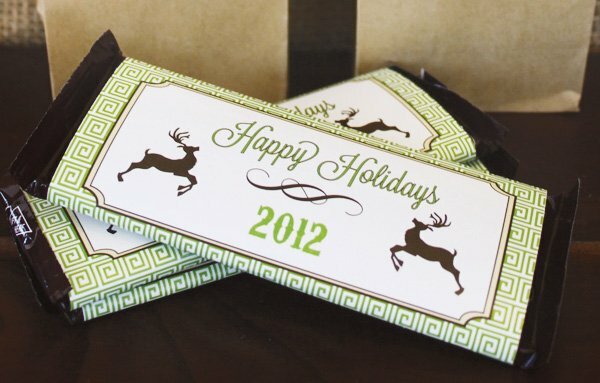 Wrapped chocolate bars are also available for guests to take home.